140 mm/4" & 5" 120 mm/3"
The shooter can check the Striker Status Indicator by sight or touch to verify that the striker is in the cocked position. 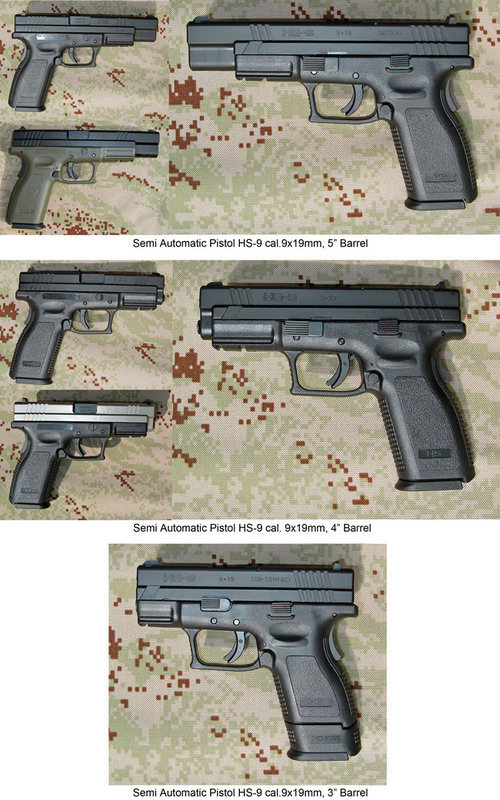 allows the shooter to verify, visually or by touch, and without any doubt that there is a round in the chamber. guards against accidental discharge from dropping or bumping by locking the HS-9's trigger in place until direct, rearward pressure is applied. Prevents accidental discharge. 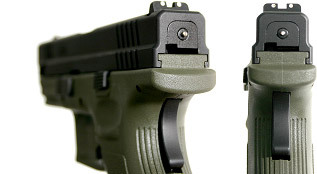 Discharge is enabled only when simultaneously both: the Grip Safety and the Trigger are pressed while shooting. Point and Shoot ergonomics are combined with a compact and contoured polymer grip and enable natural feel while pointing and aiming.